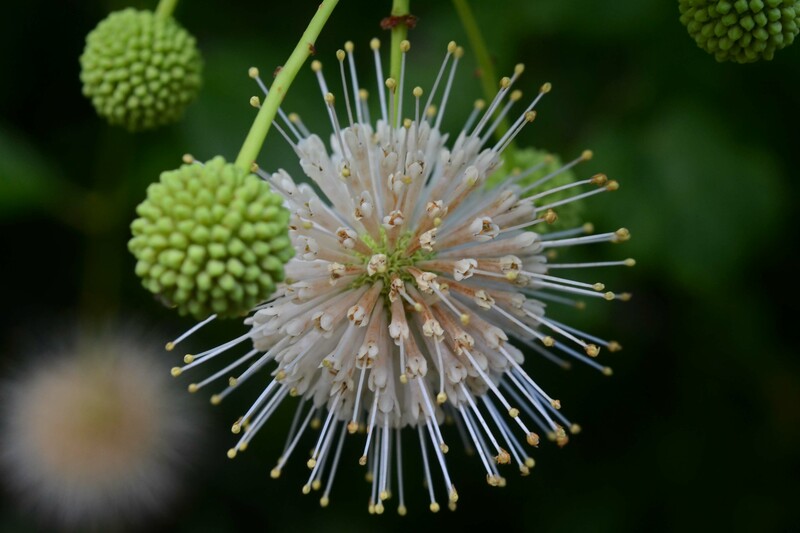 This Florida-native plant is one of the thousands featured on the new mobile web application! Flammable plant – in wildfire prone areas, plant minimum 30′ from buildings; attracts insects; white, spring flowers; good for retention ponds/swales/canal banks; well adapted to disturbed soils. For many years, UF/IFAS horticulture experts worked to compile a database of plant care and landscaping information. As a result of their dedicated research, UF/IFAS horticulture experts were able to team up with the Florida-Friendly Landscaping program to develop a new mobile app that will help make difficult planting decisions a breeze. Anyone who owns a device, such as an iPhone, Android, or tablet with web-enabled browsing capabilities, can now download the mobile app. The annual cost for the application is $1.99. With such a gorgeous and diverse selection of plants available to Florida gardeners, choosing which plants to plant, when to plant, and how to care for their plants can be somewhat overwhelming. This new app, called Florida-Friendly landscaping™ Plant Guide, provides over 400 Florida-friendly plants, which can be selected by sun tolerance, type, and shape; pictures are also provided for each plant. Tom Wichman, who is Florida’s Master Gardener coordinator and an integral member of the app development team, explains that users can simply enter their zip code and find “gardening-zone recommendations for temperature tolerance and watering requirements.” The information that users can access on the app is parallel to the information in the Florida-Friendly Landscaping™ Guide to Plant Selection and Landscape Design. Faculty advisor of Florida-Friendly Landscaping and app contributor, Gail Hansen, explains that users can also search for specific plants, including Florida native and non-native plants, short and tall trees and shrubs, vines, ferns, and ornamental plants; they can even narrow their search down to plants with wide or narrow spreading crowns. The most exciting part of this app for Florida gardeners is that not only is the information credible, but it is completely unbiased. Esen Momol, director of the Florida-Friendly Landscaping program, states, “All the information has been scientifically vetted, so we’re not trying to sell anyone on a particular plant.” The app simply provides sound horticultural information from the UF/IFAS scientists for Florida gardeners. Claire Lewis from the Florida-Friendly Landscaping Program also explains, “One of the benefits to the mobile web application is that as new research becomes available we can update the application immediately.” Providing an extremely user-friendly interface, adorned with photos of Florida’s most beautiful examples of natural art, this app could certainly prove to be a landscaper or gardener’s new best friend.